The 10 Commanders - Who will be the last man standing? The wholesale LTE data roaming tsunami is upon us! Is the MTR cash cow finally becoming extinct? 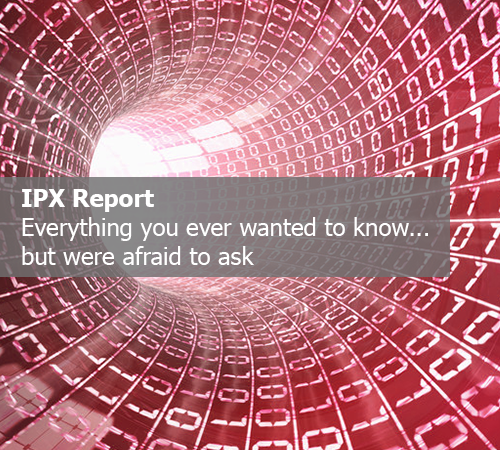 Our IPX report provides an in-dept analysis of the segment defining: What is IPX, What IPX services and features are offered and how will they evolve, Who are the main IPX customers and what are they expecting from IPX, Who are the top IPX providers, what they offer and What is the current and forecasted IPX voice and data traffic. When purchasing our report you also receive a free 1-hour online presentation of the findings by our senior analyst! HOT TELECOM is a leading telecom research and consulting firm providing quality telecom data, reports and services to 100+ of the industry’s leading operators, consulting firms and governments globally. Copyright © 2015 HOT TELECOM. Created by Ixtendo.